Ms. Mutyala holds a degree in physics from the Indian Institute of Technology Madras (IITM); a master’s in engineering sciences from Northwestern University in Chicago; and an MBA from the University of Pittsburgh. In 2005, she was honored by IITM with the distinguished alumnus award. As I think back, about my time in IIT Madras ( 1974-1976); it was probably one of the most relaxing and exhilarating periods of my life. I was away from home for the first time; it was a beautiful secluded campus that back in those days was isolated from the rest of the world – I lived in a cocoon developing as a person; making friends that have lasted me a lifetime and learnt to live in a world that was dominated by men. What I mean is that we were only 60+ women on the entire campus at IIT Madras and when I entered the corporate world in the US in 1977 in the nuclear power sector, I was again in a world where I was one of a handful of women with technical backgrounds among an army of men! Being so few, the friendships with my fellow Sarayuites that were formed in those two years have really solidified in the last 10 years. Many of us who came to the US have raised children and pursued careers without much help – unlike these days when your mother arrives from India when you have your baby and comes back every time there is a “need”. Over the last 10 odd years, the children of my fellow Sarayuites have all become independent professionals in various fields and we now have the time to get together. A few of us make it a point to get together every year and we have formed a “sister hood” where we share our memories; our triumphs and our tribulations and just have a lot of fun. Sarayu was special place – where we had to protect our food from monkeys that could hop in; where our mess cook Karuppiah was always there with a quick smile and the warden with not so quick a smile since her rules were often violated; and the big tree in the back between our hostel and the library where we used to sit with our guy friends for hours. Sarayu was my home away from home and IITM gave me the protective cocoon to grow and eventually spread my wings like a butterfly. 1) it is important to stand up and be noticed and do it in a non threatening manner. An adage that is still true – a woman who is assertive is considered aggressive whereas a man who is assertive is considered to have good leadership skills. It is changing in some sectors of industry as there are more women role models in IT , in retail industry etc. 2) Do adapt and embrace the culture of the country you are in ( in my case, the United states) without compromising your fundamental values. You are living in the US – enjoy its pop culture, its music, movies, sports etc. This will help you relate to your coworkers and communicate more effectively as a leader. 3) As Sheryl Sandberg of Facebook states, “lean in”. Do not be tentative; jump in with both feet on any project that you are involved with. My time at IITM prepared me well to learn these lessons quickly in corporate America. Meena Mutyala is Westinghouse Vice President, Automation. She serves on the board of CS Innovations. In 2008, she was awarded an honorary doctorate from Central Michigan University. She is married and has two children who now have their own careers. 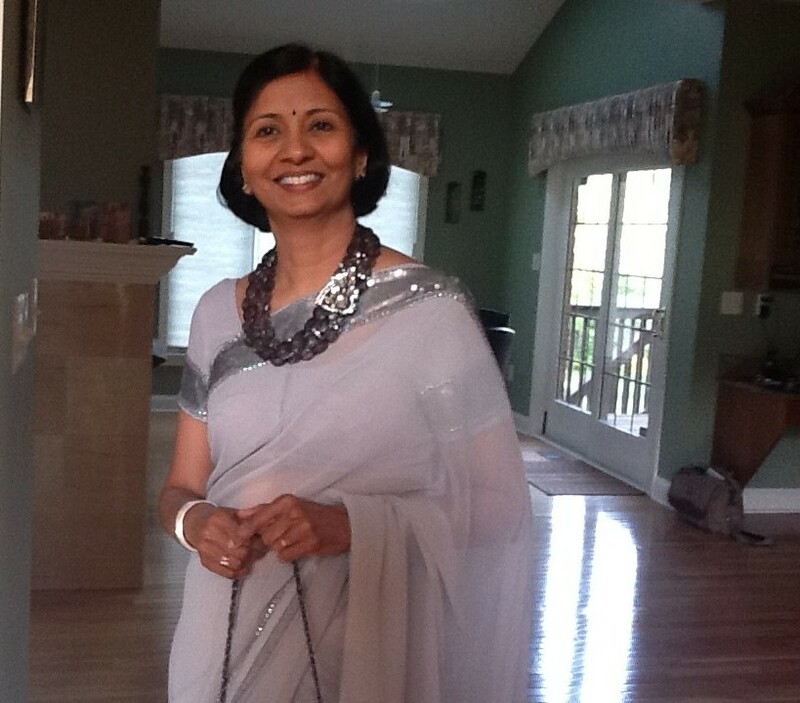 She is actively involved in non-profit activities in Pittsburgh and in India.